★Simple to assemble and each target joins together to construct a frame, which measures 36.2 x 5.5 x 4.7 inches when fully assembled. ★Includes built in score rule so you can easily keep score and focus on having fun. ★Lightweight and includes a convenient carrying case so you can take it to anywhere. ★Perfect for backyard, beach, tailgate parties, camping or terrace. ★Great game to get the entire family outside together. 100% satisfaction guaranteed! If you have any problems, please feel free to contact us. Dimmension:36.2 x 5.5 x 4.7 inches ,Friendly for kids Because Rubber Bolos use thick rope to prevent tangles And bolas are made with soft, safe plastic. ASTM Toys And Games Safety Tested and Approved. 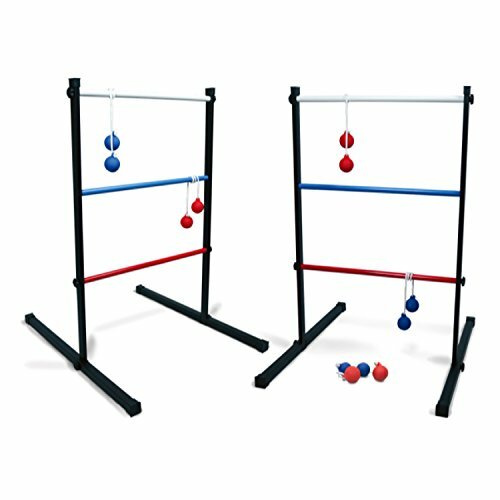 Great for Both Adults and Children Playing ladderBall Games at Tailgates, Barbecues, Parties With So Much Fun! If you have any questions about this product by SPORT BEATS, contact us by completing and submitting the form below. If you are looking for a specif part number, please include it with your message.